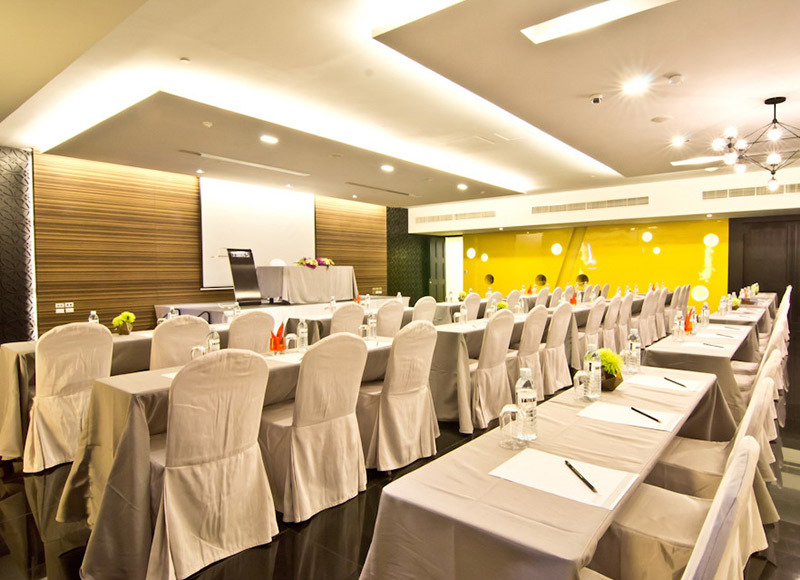 Looking for the perfect seminar halls up to 250 guests near the Pattaya beach? All banqueting and conference premises are self-contained and positioned with a range of fully equipped state-of-the-art facilities and professional catering services. SIZE: 15 x 21 x 3.1 m | 315 Sq.M. 15_11 a medium sized banquet room and can accommodate up to 250 persons. The concept design of this room is about the 15th of November where the biggest full moon appears in a year. We used variation of colors yellow, black, grey and assorted circle lights hanging from the ceiling. This room is a good for seminars, special events, big parties and any other special occasions. SIZE: 10.5 x 16.5 x 2.9 m | 173.3 Sq.M. 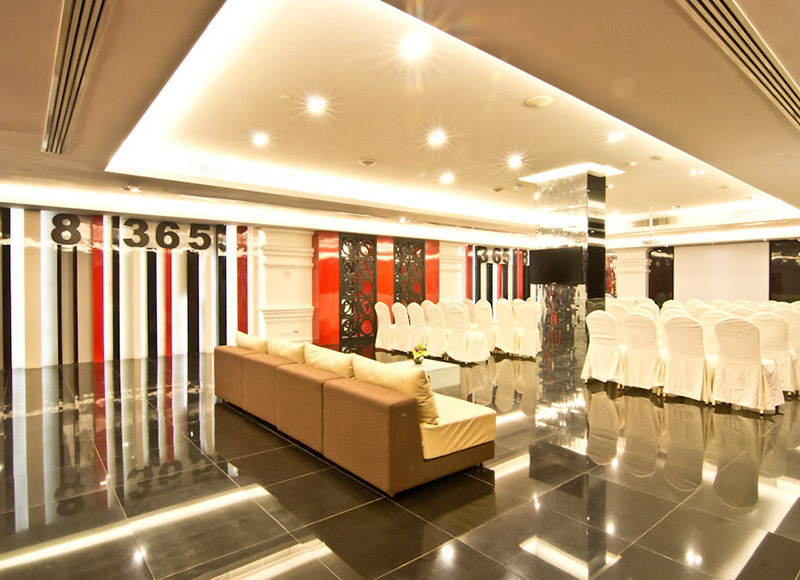 Ram 8, size 173.3 square meters with modern facilities and capable of holding 100 guests. Ram 8 is the last quarter of the moon, and so we used the shape of number eight as a decoration and uses variations of colors like grey and black which represents the dark and clear part of the moon. Whether you are looking to plan a business conference or special event, ram 8 provide an inviting ambiance that will inspire conversations and ideas with the help of our services team to make your event run smoothly.